Allies and Axis: Who’s Who in WWII? On this day in 1941, Thailand allied with Japan. Thailand was valuable for the Axis powers, as their airfields, ports, and railways would be instrumental in planned invasions of Malaya and Burma. 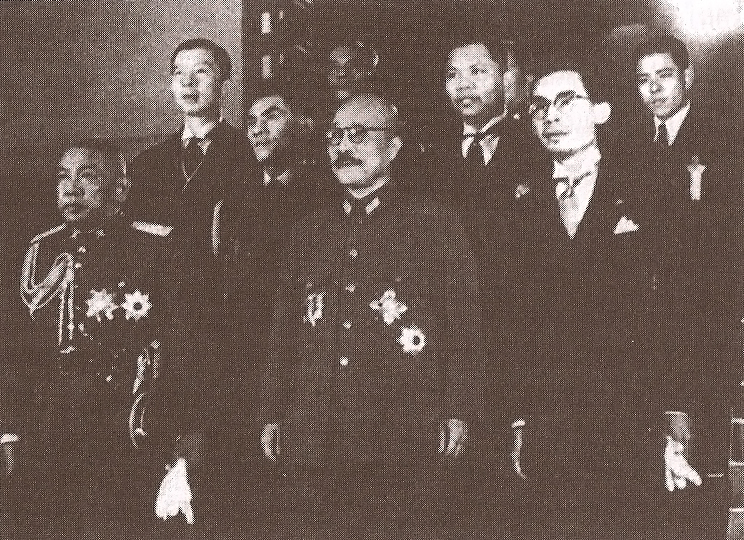 The partnership was not necessarily an equal one; their alliance was the result of the December 8 Japanese invasion of Thailand after failed negotiations, the Thai resistance lasting only hours before a ceasefire was declared. Like many countries, Thailand joined the Axis powers because of military pressure. Why countries joined the Axis or the Allies was complex, often rooted in many different factors, such as how much military power that country held, what political system they followed, and where they were located geographically. When trying to understand the complicated course of WWII, it is helpful to know the main players and their goals. So, who were the Axis powers and who were the Allies? The main Allied powers were Great Britain, The United States, China, and the Soviet Union. The leaders of the Allies were Franklin Roosevelt (the United States), Winston Churchill (Great Britain), and Joseph Stalin (the Soviet Union). The common purpose of the Allies was to defeat the Axis powers and create a peaceful post-war world. Its creation was a response to the aggression and unprovoked war the Axis had unleashed upon the world. Each country had different ideas about what this post war world would look like. Churchill and Britain wanted to create a post-war Europe that would prevent Germany from rising again. Roosevelt and the United States wanted a permanent end to the fascist regimes of Germany, Italy and Japan and to foster democracy throughout the world. Stalin and the Soviet Union wanted to both crush Germany and gain influence over Europe. The United States, Great Britain and the Soviet Union coordinated their foreign and military policies and created institutions in common to support these policies and win the war. The main Axis powers were Germany, Japan and Italy. The Axis leaders were Adolf Hitler (Germany), Benito Mussolini (Italy), and Emperor Hirohito (Japan). The Axis alliance began with Germany partnering with Japan and Italy and was cemented in September 1940 with the Tripartite Pact, also known as the Three-Power Pact, which had the “prime purpose to establish and maintain a new order of things… to promote the mutual prosperity and welfare of the peoples concerned.” They supported each other’s goal for territorial expansion, wanted the destruction of the Soviet Union and acknowledged each other’s supremacy in their respective geographic areas. Posted by Gemma Birnbaum and Laura Sparaco, educators at The National WWII Museum.